before 15th September 2019, post-mark as proof. The registration will be final after reception of the due amount. Travel and accomodations are to be paid by the participants. 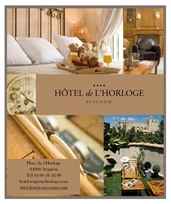 As far as possible the candidates will, free of charge, be hosted by families in the area.The organiser has also come to an agreement with HOTEL DE L'HORLOGE with low prices 33(4)90164200.